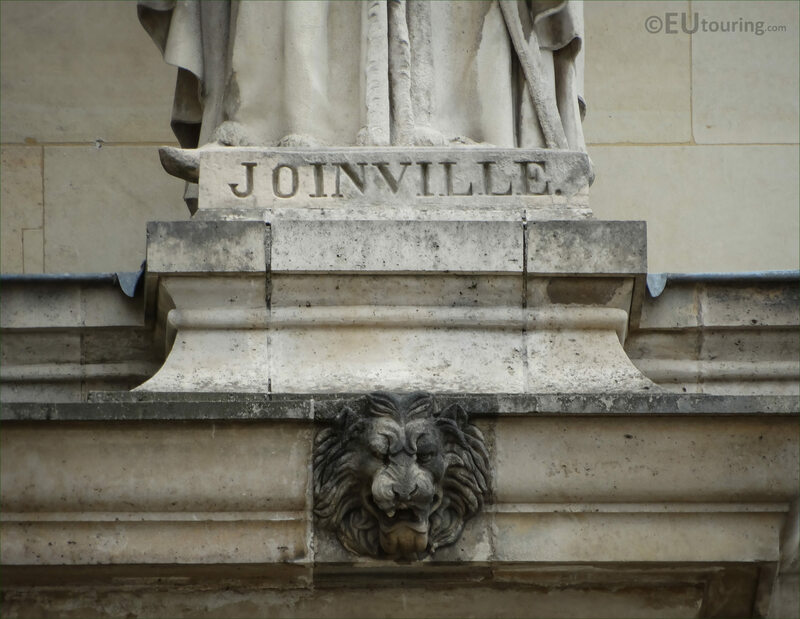 We were within the Cour Napoleon at the Musee du Louvre in the 1st Arrondissement of Paris when we took these high definition photos showing a statue of Jean de Joinville on the Aile Henri IV by the artist Jean Esprit Marcellin. 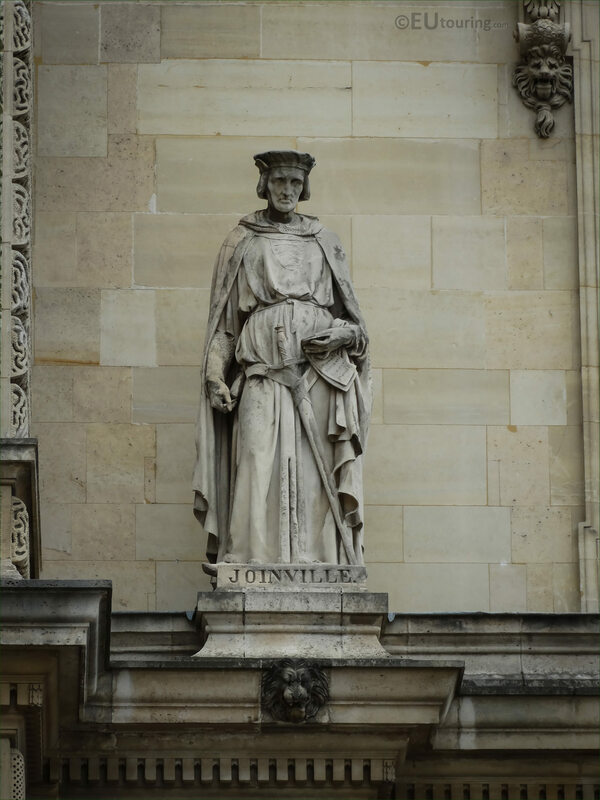 This first HD photo shows the stone statue of Jean de Joinville, which is located on the first level balustrade of the Aile Henri IV wing, which was put into position in 1857 and is the third statue from the left hand side as you are looking at the facade on the former Palais du Louvre. 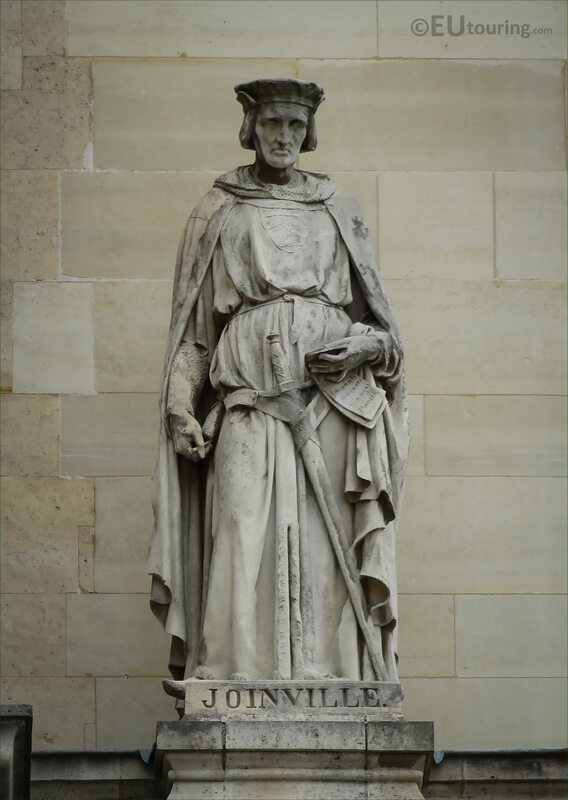 Now this stone statue was produced by Jean Esprit Marcellin, who was born in Gap in the Alpes on 24th May 1821, and becoming a French sculptor he travelled to Paris to further his studies and career, eventually being awarded the Legion of Honour in 1862 having produced some masterpieces working on many different commissions including this one. 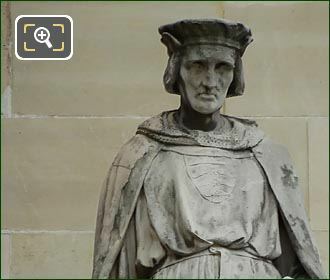 And in this last close up image you can see the base of the statue and plinth, which is dedicated to Jean de Joinville who was born in 1224 to a noble family and decided to join with the Christian knights just as his father had done years earlier, which was when King Louis IX organised the Seventh Crusade in 1244. Jean de Joinville then became the counsellor and confidant to the king, who trusted him immensely, and he remained in his service for several years, however, when Louis IX decided to start another crusade in 1270, Joinville refused to follow the king, but the crusade went ahead and was a disaster with Louis IX dying that same year. An inquisition was then held and eventually it ended with Louis IX being Canonised by Pope Bonifice VIII, and the Queen Jeanne of Navarre, asked Jean de Joinville to write the Histoire de Saint Louis, which he completed in 1309, and this became his famous work, becoming a renowned chronicler of Medieval France, still recognised today.